rises over The Atlantic Ocean you can see the white tents going up. While in town you might as well spend the day visiting local Flagler Beach Shops or The Flagler Beach Museum. Flagler Beach is small in size but has a big heart and the local shop and tavern owners will treat you like you’ve lived in Flagler Beach your whole life. 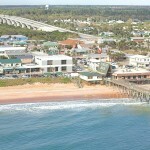 Flagler Beach is located on the Northeast coast of Florida and together with Palm Coast comprises par t of Flagler County. 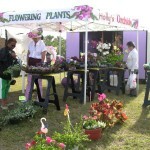 The Farmers Market in Flagler Beach begins every Friday and Saturday at sunrise and ends mid day. Just as the Sun reaches mid sky and it heats up it’s time to cool off so drop off your produce, grab your lawn chair and cooler and head to the beach. 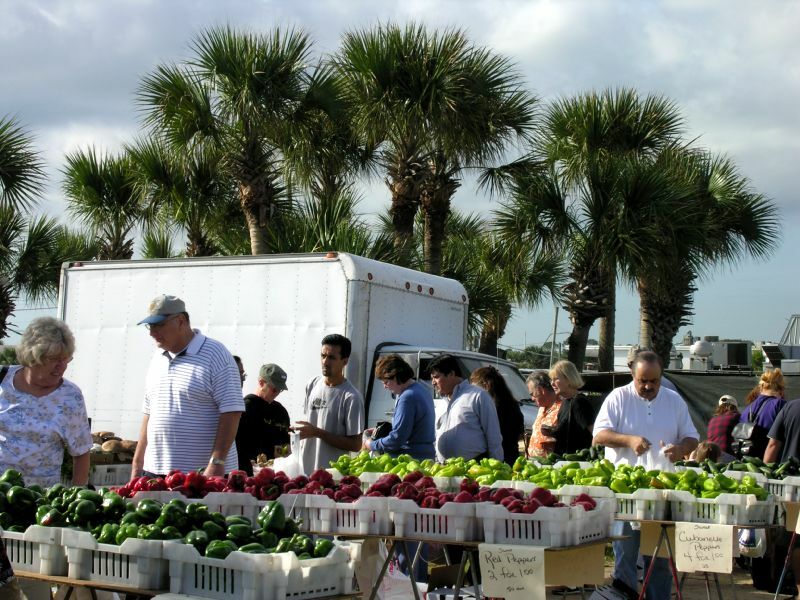 The market is located on the large parcel next to Veterans Park, on the corner of Scenic Highway A1A and Hwy 100, across the street from Finns beachside pub. The Farmers Market is also directly across the street from The Atlantic Ocean. The Farmers market began 32 years ago and has expanded through the years with new vendors each year and now open on Saturdays as well. My favorite thing at The Flagler Beach Farmers Market is not of the healthy variety but you simply have to try the “orange juice bread”. How about some boiled peanuts; on the healthier side the Plant City strawberries are to die for. 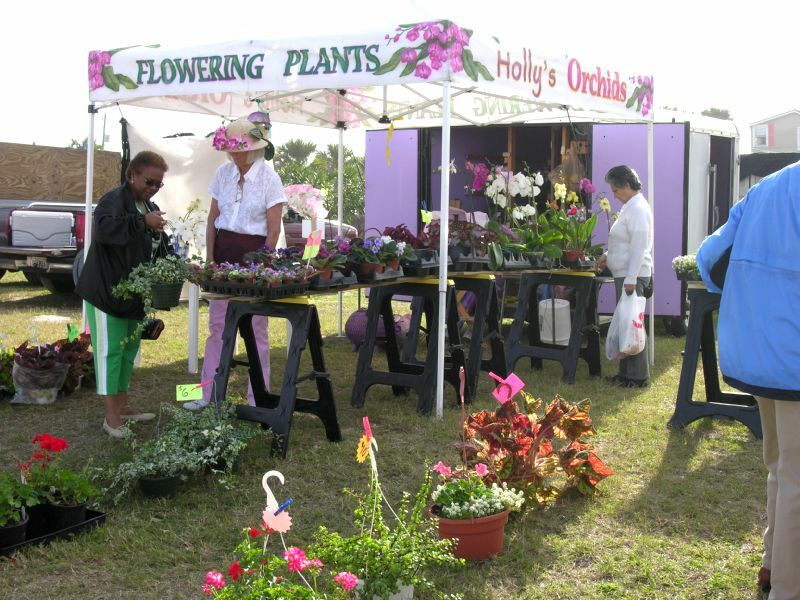 The Flagler Beach Farmers Market also features certified organic produce, kettle corn, candies, olives from all over the world as well as The Flagler Humane Society Tent where you can adopt a new family member or volunteer to help our furry friends. Keep it Local and shop Flagler Beach and Remember to Bring Your Own Bags and Recyle. 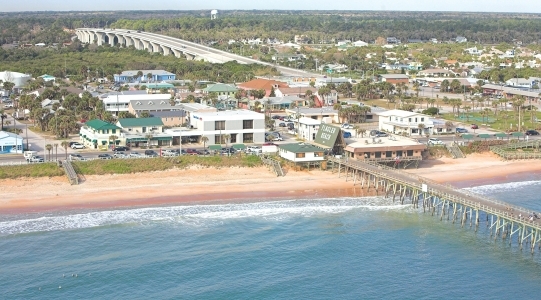 Please stay tuned for future Flagler Beach Happenings and please visit www.PalmCoastHomeForSale.net for Flagler Beach Home and Flagler Beach Condo Listings. If you own property in Flagler Beach let us provide you a confidential and accurate analysis of the value of your Flagler Beach property. 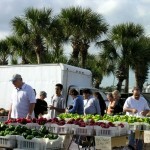 My parents have a home in the Palm Coast area and we have always made time to walk through the Flagler Beach Market. In recent weeks I have noticed less and less vendors… what a disappointment to walk through and not see some of the old timers. Where did they all go…??? The last vendor that seem to have disappeared is the Orchid Lady…… So my questions is: “Where have all the vendors gone”…..?? ?